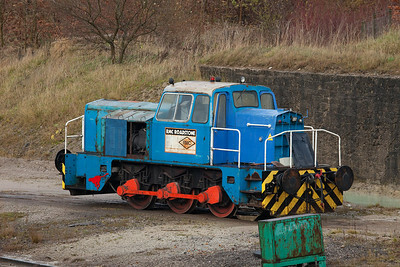 2.5 days of stone trains in the Peak District in Derbyshire. 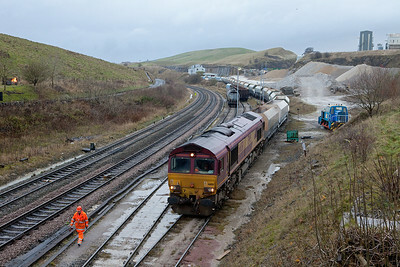 Including what might be the last of the class 60s. 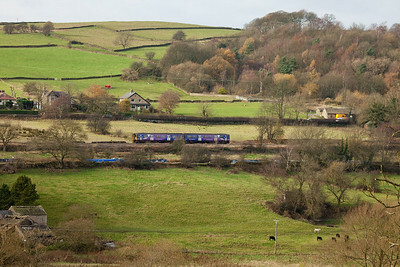 EWS 60051 with a rock train ready to depart Peak Dale. Note flooding caused by heavy rains. So who authorized DBS' entry then...? 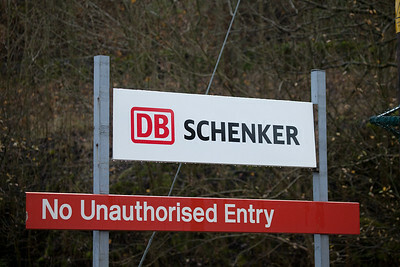 Sign at the entrance to the Peak Dale facility. 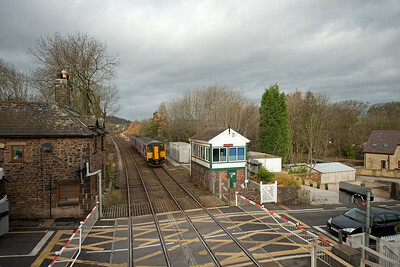 Peak Forest South signal box. Note dumped product in the middle of the far left track. 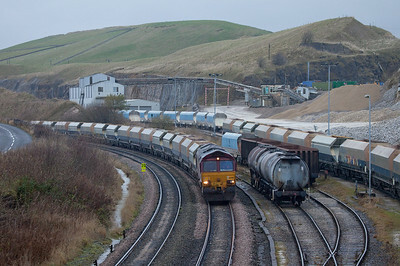 60051 leaving Peak Dale with a loaded stone train. 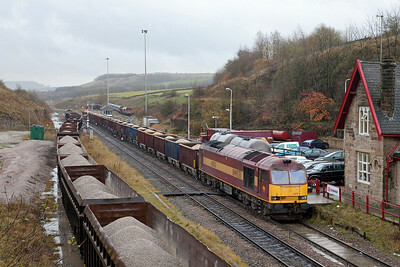 EWS 66150 shunting bad-order cars in Peak Dale. 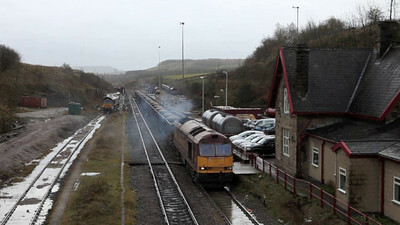 EWS 66150 shunting in Peak Dale. 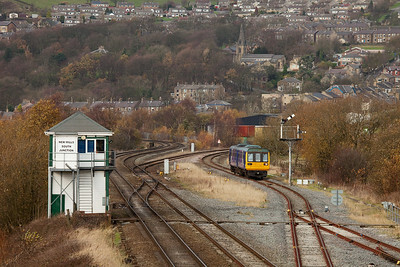 EWS 60013 in Peak Dale. 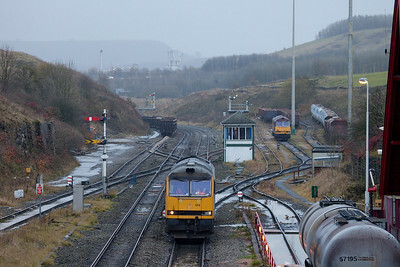 66s changing drivers at Peak Dale. 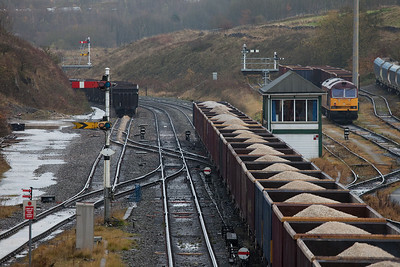 Somewhat lengthy but does show the semaphores in operation towards the end. 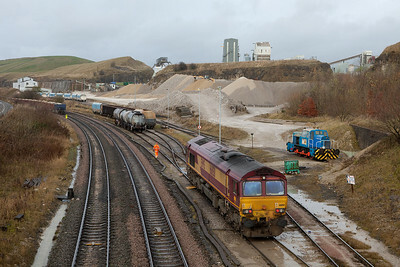 EWS 66090 arrives in Peak Dale with an empty rock train. 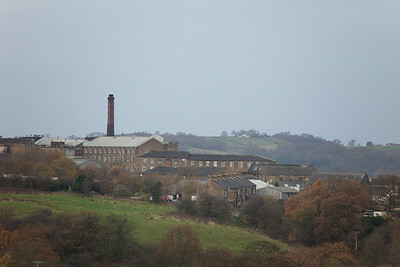 Old industrial architecture in New Mills. 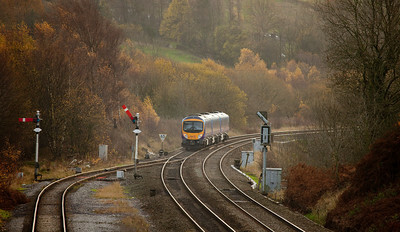 FGW 185 115 as First Transpennine Express passing New Mills South Jct. 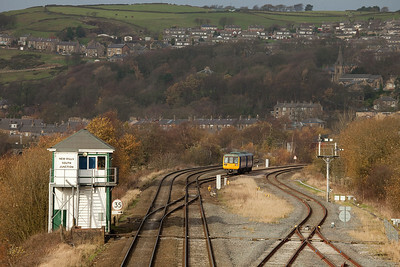 142 038 to New Mills Central in New Mills South Jct. 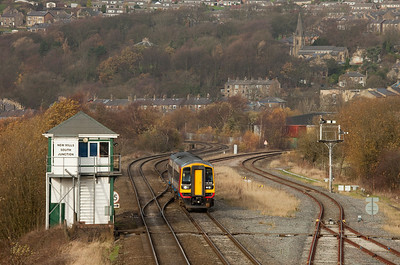 East Midlands 158 856 in New Mills South Jct. 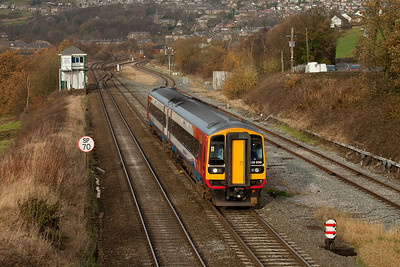 East Midlands 158 846 in New Mills South Jct. 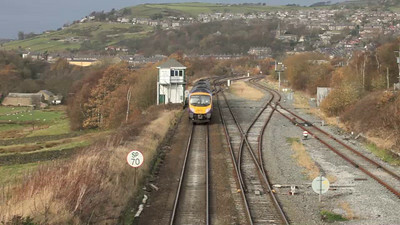 A number of clips from New Mills South Jct., including an almost perfect meet of FGW 185s. 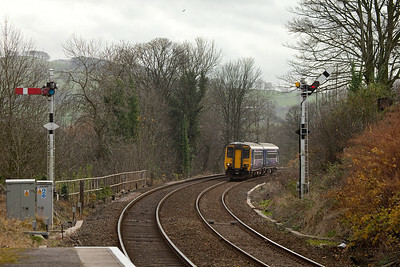 DMU to Buxton approaches Furness Vale station. 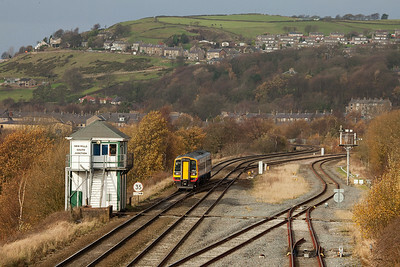 142 038 from New Mills Central in New Mills South Jct. 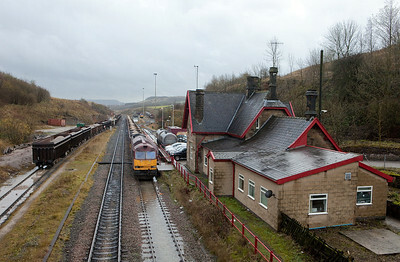 New Mills South Jct. 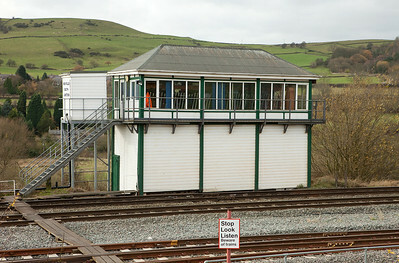 signal box. 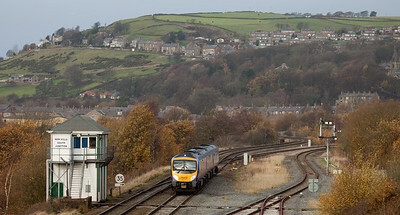 150 203 in Furness Vale. 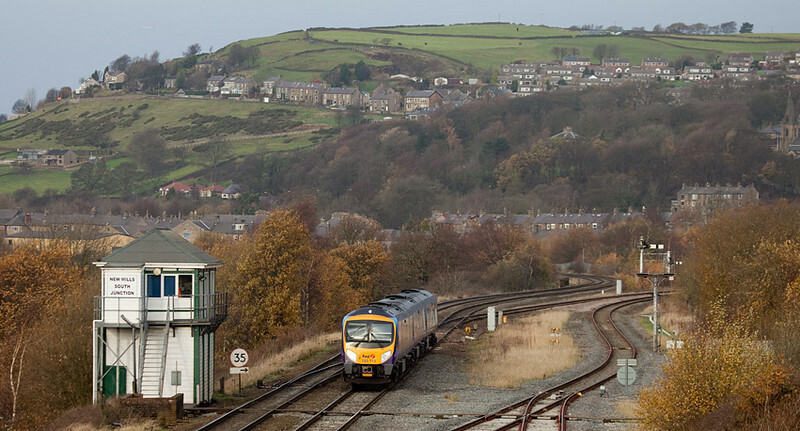 156 483 approaches Furness Vale.